A beetle finds his life forever changed in this sendup of classic rock with an insect spin by a singer/songwriter and debut children’s book author. Tiger beetle John, whose signature glasses evoke John Lennon, and his pal Paul are hunting sand flies and gnats one day when they discover a rock group playing at the nearby pier. Perching on one of the band member’s Hawaiian shirts to get a closer look, John accidentally becomes part of the act when he falls into a guitar and can’t get out. At first, the loud music is torturous, but soon John enjoys how the vibrations course through his elytra wings. The final number, “Good Vibrations,” makes the crowd go wild; John notices “their smiling faces and happy eyes and could see how much they enjoyed the band performance and the music.” This inspires him to set up his own group with Paul, Paul’s friend George, and drummer Buggy Bingo. Later, John marries a Japanese beetle named Yoko, and he says his whole life of celebrity is due to hearing the legendary band that parents should already have recognized: the Beach Boys. Each page of text is framed by the same image involving the pier concert—John peering out of the acoustic guitar—which reduces the impact of that picture. Still, on the whole, the buggy musicians are charmingly illustrated in a cartoon style that should appeal to young readers. The Beatles references in the art (and text) are cute and clever. While the uncredited images lack sophistication, they work for the tone of the story. But there are no conflicts in Funcell’s tale, making it a bit light on plot: the work focuses on a revelatory moment rather than a challenge. And the beetles seem to have an incomplete knowledge of humans, identifying a Hawaiian shirt but not a guitar (“I found out later this wooden box is called a guitar,” John confesses). Although the details may falter, the fun here is in the rock mashup. 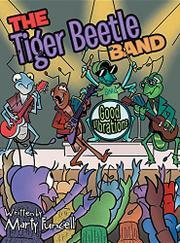 An entertaining choice for parents wanting to introduce favorite bands to their lap readers.